Bro. Cris Manzano at the Amoranto Stadium. Photo taken January, 2011. In the early 90’s, Bro. Cris Manzano was suffering from psoriasis*. He sought for cure in the Philippine General Hospital, but despite the many medicines he used, he wasn’t cured. He then transferred to Jose Reyes Memorial Medical Center, but he was refused by the doctors there, telling him they couldn’t treat his disease anymore. He was instead referred to TALA, a hospital in Quezon City that treats leprosy. Bro. Cris went home feeling so hopeless and not knowing where else to go. Indeed, he suffered much from his disease. When he lay down in bed, he had to stretch both arms and both legs, for when he attempted to bend them, his flesh would tear. Day and night, he had to endure stinging pain his raw wounds brought. Sleep was difficult, and he could hardly bathe because of his open wounds that hurt from his head to his toes. His oozing wounds produced a stench that prevented him to go out of their house. When he did, the passengers of the public transport he was riding in would get down, because of his foul smell. He testifies that his life then was hellish, and many times, he thought of ending his life. But in 1992, his brother, Bro. Paul Manzano, who was then saved and serving the Lord in JESUS MIRACLE CRUSADE INTERNATIONAL MINISTRY visited him and shared to him the glorious Gospel of Jesus Christ. Willingly, Bro. Cris went with his brother to the worship service of JMCIM and accepted the Lord Jesus Christ as his Lord and Savior, and was baptized in water in Jesus’ name. Bro. 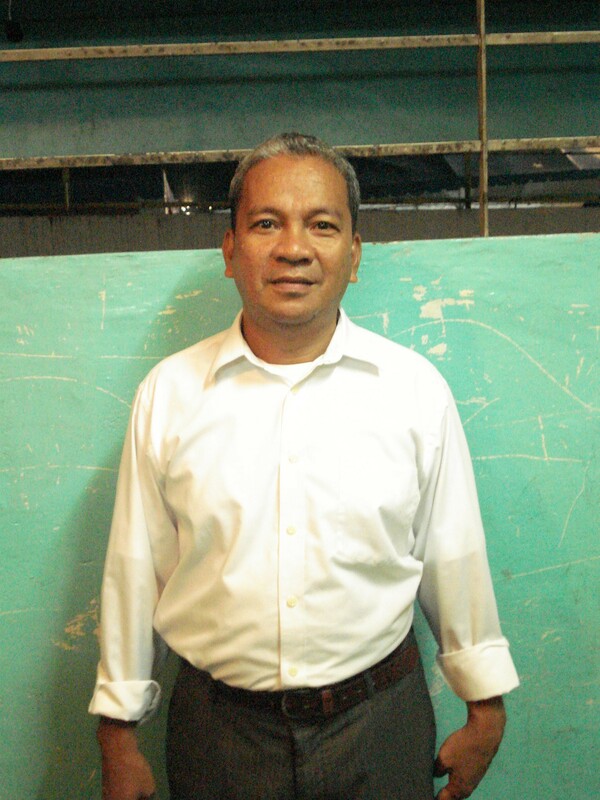 Cris did not receive healing instantly, but he continued to attend worship services faithfully. He would wear gloves because pus oozed from his hands, and it also seeped through his clothing. But in Church, he was never shunned. Beloved brethren showed their love to whoever came to the services, whether well or very sick. In three months of diligently attending worship services, Bro. Cris received complete healing. All his wounds dried up until his skin became clean. This happened without the help of medicines or ointments, but purely the miraculous healing of Jesus Christ, through the prayers and fasting of the beloved and Honorable Pastor Wilde E. Almeda and assistant Pastor Lina C. Almeda, together with the collective prayers of the beloved preachers and prayer warriors. Bro. Cris continues to serve the Lord faithfully to this day. Indeed, the gracious God has prospered him and his family. (*Primarily seen in adults, pustular psoriasis is characterized by white blisters of noninfectious pus (consisting of white blood cells) surrounded by red skin. Pustular psoriasis may be localized to certain areas of the body, such as the hands and feet, or covering most of the body. It begins with the reddening of the skin followed by formation of pustules and scaling. Source: www.psoriasis.org).